The first fire of the day occurred near Jaffray, while this evening it was a crew from the Fairmont Fire Department that responded to an out of control grass fire near Columbia Ridge. “The fire appears to have been lit and left before escaping. 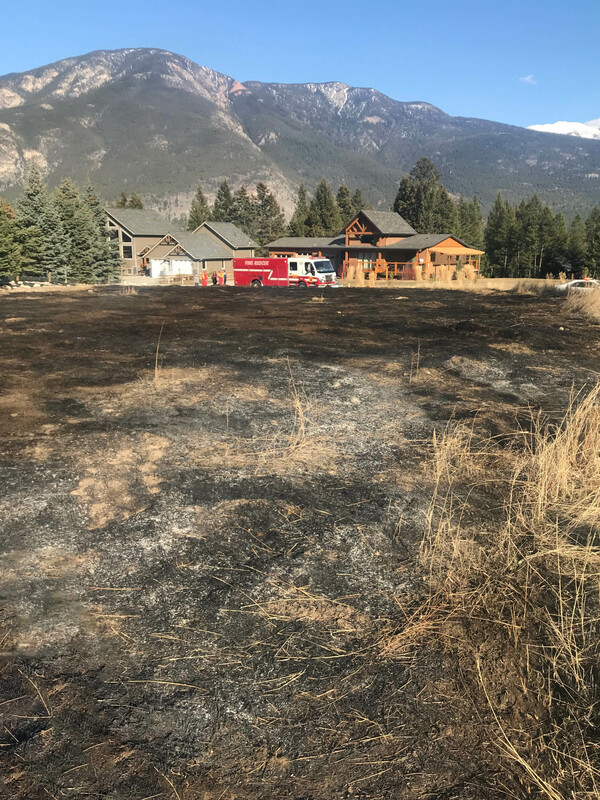 When we arrived neighbours were working on the fire with hoses and rakes and did a good job of containing it,” says Columbia Valley Rural Fire & Rescue Chief Jim Miller. Miller and six other firefighters continued to work the burned area this evening ensuring hot spots were dealt with.